From the jetty at Charlotte (Rochester) NY, February 21, 1998. 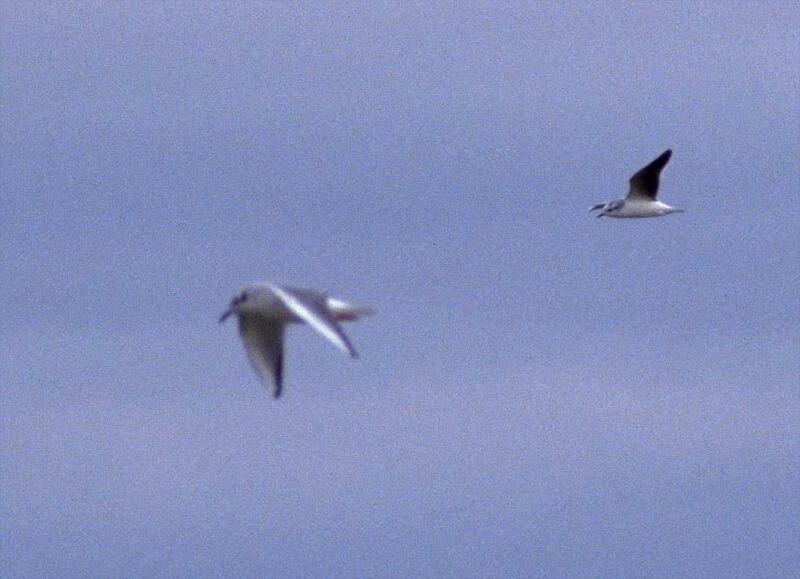 Both gulls are in adult basic (winter) plumage. They were at about the same distance (the Bony is a bit closer), so you can easily see the size difference. The dark underwings and rounded wingtips of the Little Gull can be spotted at great distances. In comparison, the Bony has a white leading edge, relatively pointy wings, and little contrast between the top and bottom of the wing.